Medieval shield, combat metal gloves, sword. 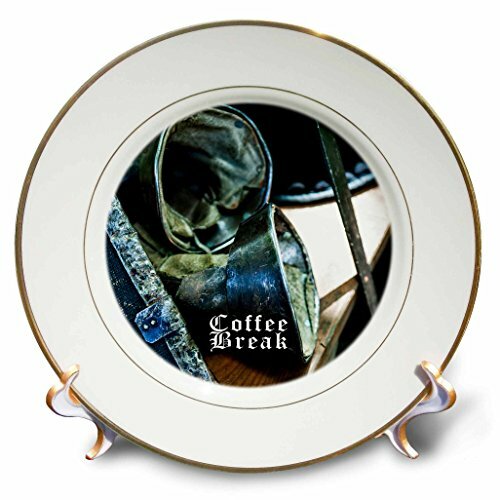 Coffee break Plate is 7.5" in diameter. Made of white porcelain featuring two 24k gold rims. Excellent to give as a gift commemorating a special person or event. Stand included. Decorative use only.